In one of the most moving scenes from Pasolini’s Mamma Roma, Anna Magnani and Ettore Garofolo, who plays her son, stand perched on the edge of opportunity, of a new life which manifests itself in the form of better housing. 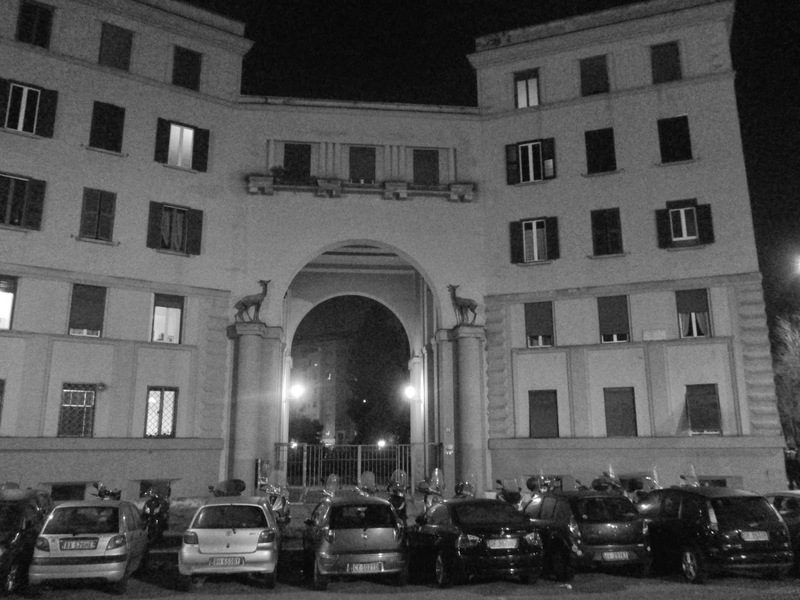 The scene takes place in front of a dramatic archway leading to a housing unit on the Piazza Tommaso di Cristoforis. We’re on the outskirts of Rome, near the Porta Maggiore—which is one of the ancient entrances to the city. Pasolini’s shots are like tableau vivants which exude a profound sense of place. Antonioni's setups have a similar sense of place, but his movies end up looking like Di Chirico paintings. By contrast, Pasolini’s style, his esthetics, which were as immersed in art history (he studied with art historian Roberto Longhi), also drew their power from the director's left-wing politics. When Pasolini filmed Mamma Roma the area was poor and not far from a church on a long street, Via Casal Bertone. Here he shot the iconic opening scene in which Mamma Roma leads three pigs she calls the “Fratelli d’Italia" into the wedding reception of her pimp, Carmine (Franco Citti). The scene is modeled on da Vinci’s Last Supper, which itself is painted on the wall of Milan’s Santa Maria delle Grazie and records a niche similar to the one which Pasolini created for his movie. Though Piazza Tommaso di Cristoforis is still an outer borough, there’s now a majesty to the location. The apartment house is gated, presided over by a guard and is reminiscent of grand old Upper West Side buildings in Manhattan like the Apthorp, with its courtyard and auspicious entranceway. How times have changed! If you walk from Piazza Tommaso di Cristoforis to Via Casal Bertone you will come to Favole di Pizza at Via Cesare Ricotti, 8. They have sublime slices.